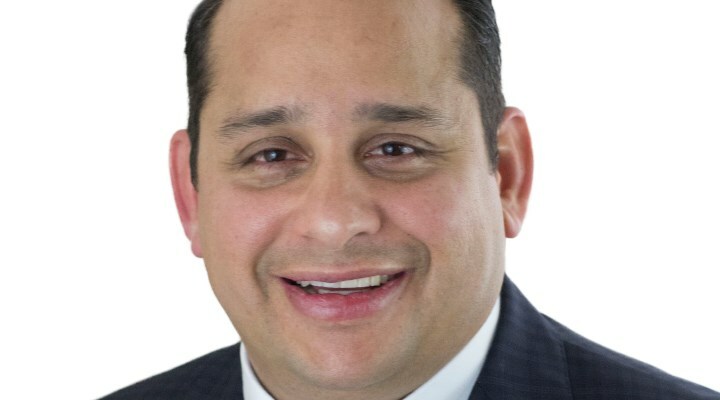 Sam Tenorio III is a senior account manager with General Datatech (GDT), based in Dallas Texas, an award-winning, international multi-vendor IT solutions provider and Cisco Gold Partner. Sam spent his childhood years in the Bay Area, and then as a teenager moved back to Austin, Texas, which has been his family’s home for three generations. Sam began his business career financing commercial properties and that experience would prove to be a significant asset later on. When still in his twenties, Sam purchased a building renovation company and subsequently acquired 32 income-producing properties in the Galveston area of which he still owns seven units. Eight years ago, Sam faced a career crossroad because of the turmoil in the real estate industry. As fate would have it, an old college friend encouraged Sam to give technology sales a try, reckoning that Sam could be extremely successful in that industry. Starting at the proverbial bottom, Sam indeed quickly proved to be a natural working with banking institutes, building out their technology infrastructure, video conferencing and security firewalls. Two years later, Sam was recruited to join GDT in order to focus on their growing data center business line. Sam quickly progressed from building out his data center practice to building out BBI’s for banking institutes, enterprise business, higher education programs, and healthcare and government agencies throughout the US. Sam also helped to develop GDT’s global sales practice by being one of the first account executives to tackle the challenges and complexities of international sales. Currently, his primary responsibility is managing professional services for VMware and building out their NSX practice, which is the industry leading software-applying networks. GDT installed 55 data centers last year, which is more than any IT company in the country, and are tracking to quadruple that number in 2018. The timing was perfect. At the time, I was working in finance, which was starting to crash. My young daughter had also fallen down seventeen stairs and, as a result, suffered some developmental issues. So, I decided to take six months off to care for her. During that time off, an old college friend called to say he had recently started a firm selling Cisco as well as other technology products. I told him I was thinking about going back to work, and he encouraged me to give IT sales a try. So, twelve months later, I took my friend up on his offer and got started in the technology business. Circumstances, good timing and good luck. Actually, I make money the old-fashioned way, by doing what we say we will do and then meeting and exceeding those expectations. I believe in being completely transparent with our clients. This approach has resulted in forging solid relationships with my clients and as a result, expanding our client base. My clients know that I am literally available 24 hours a day, seven days a week and they appreciate my dedication to servicing their needs, no matter what they are. And most importantly, happily providing strong references and referrals. I have found that in reality, any business is truly a journey. I had to knock on quite a few doors as I began promoting my business. Initially, I encountered many ‘no’s, but I never stopped relentlessly moving ahead on my path. Since my income is 100% based on commissions, I continue to knock on doors because if I don’t sell, I don’t make any money. Frankly, I became profitable by necessity. Every day there are obstacles to overcome. Everyone at some point in their career faces self-doubt but I am very determined and recognize the importance of constantly improving my product knowledge, my sales skills, my processes and procedures. I am always assessing what I am doing that works and what I am doing that isn’t working. I seek feedback on how I can get better. I am always listening and learning from other people. This is a major key to success. I got my first customer by knocking on a lot of doors and getting rejected a lot of times. As I stated earlier, it was by sheer willpower that I stuck with it and always believed I would be successful. I carefully looked for companies that would benefit from our services and I would be sure to thoroughly learn everything I could about prospective clients. This helped me to develop strong relationships and grow my client base. And my first client is still with me today. At this point, referrals continue to be my number one source of new business, but before that, it was knocking on doors. A marketing strategy that I use involves educating potential and existing customers while I host a nice luncheon. This is a great way to get to know people better and share with them the options that our team offers. I am also able to answer any questions that they have and peak their interest with high level solutions. This always results in acquiring new customers while existing customers always learn something new and provide to prospects their positive experiences working with the team and myself. This is a win for everyone in attendance! What is the toughest decision that you had to make in the last few months? There are so many tough decisions to make in business. The most significant decision I’ve had to make is committing to investing in myself and getting better every day. That’s a decisions that I need to reaffirm every day. Literally I took a chance on myself. Sales is not just about knowing your products, services, and your company inside and out. It also involves having confidence in yourself which gives confidence to your customers that they are making the right choice. Once I developed a solid level of self-confidence, I was able to tackle each day and each sale with pure excitement. It feels great to have a strong belief in yourself. I am a very driven person, so drive, drive, drive, combined with the fear of failure. This is what keeps me going and makes me successful. I always remember that Andy Grove, one of the founders of Intel, believed that only the paranoid survive. So, I guess I maintain what I hope is a healthy sense of paranoia as well. This determination and drive really helps me achieve my goals. My most satisfying moment was my first sale! I was working with a Texas non-profit at the time and I was just learning what video conferencing was all about. This was an exciting new technology at the time and perfect for companies to use for meeting with people in off-site locations. No matter where someone was, they could sign on and participate in the meeting. The non-profit company saw the value it afforded them, so I was able to close the sale. It sure was a wonderful moment for me and this client is still with me today. Our team is at the forefront of software engineering. We are developing one of the best software engineering teams in the country and we continue to build on that. We have products and people to help any business with their software needs. It is the next great technology solution. I have not really read any business books that I can think of. For the past ten years I have been working with a business and life coach, Robert Tweedie, who has been an attorney for over 25 years as well as an entrepreneur and consultant. I consider him a great mentor, confidant and friend. Robert is a quite an amazing person and is one of the reasons why I am successful. His strategies and teachings have helped me stay focused and meet my personal and professional goals. Robert is the one who has inspired me the most. I believe the best purchase a business can make is knowledge and training. I am always ready and open to learn new things! But seriously, I like to continue to expand my knowledge base and attend training activities. I firmly believe that this fully contributes to a successful business, and a successful me.